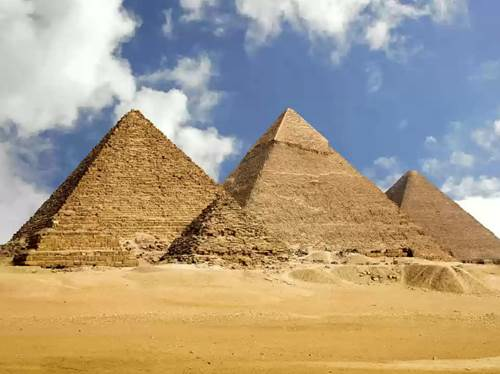 There are 138 pyramids discovered in Egypt as of 2008. 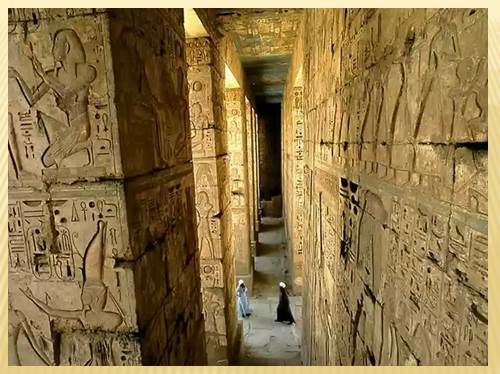 Most were built as tombs for the country’s Pharaohs and their consorts during the Old and Middle Kingdom periods. The earliest known Egyptian pyramids are found at Saqqara, northwest of Memphis. 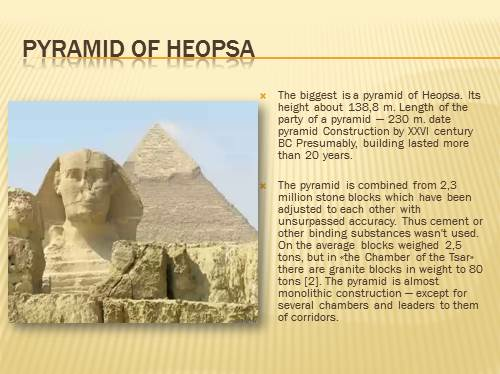 The earliest among these is the Pyramid of Djoser (constructed 2630 BCE–2611 BCE) which was built during the third dynasty. 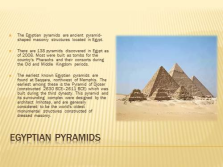 This pyramid and its surrounding complex were designed by the architect Imhotep, and are generally considered to be the world’s oldest monumental structures constructed of dressed masonry. 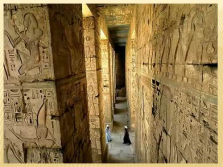 By the time of the early dynastic period of Egyptian history, those with sufficient means were buried in bench-like structures known as mastabas. 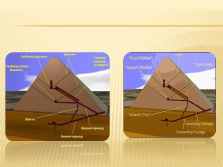 The second historically documented Egyptian pyramid is attributed to the architect Imhotep, who planned what Egyptologists believe to be a tomb for the pharaoh Djoser. 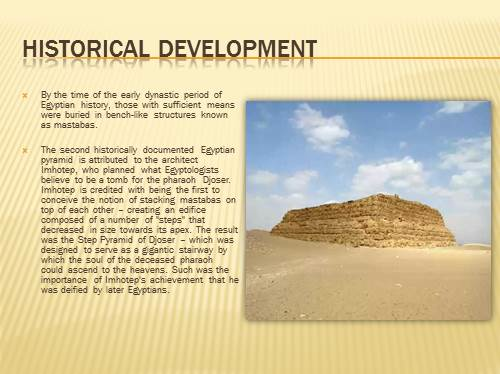 Imhotep is credited with being the first to conceive the notion of stacking mastabas on top of each other – creating an edifice composed of a number of «steps» that decreased in size towards its apex. 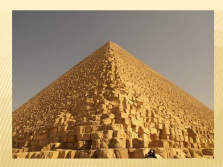 The result was the Step Pyramid of Djoser – which was designed to serve as a gigantic stairway by which the soul of the deceased pharaoh could ascend to the heavens. 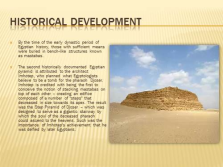 Such was the importance of Imhotep’s achievement that he was deified by later Egyptians. 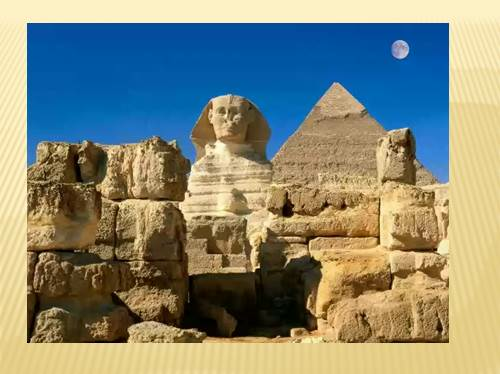 Great pyramids name the pyramids of Pharaohs of Heopsa located in Giza, Hefrena and Mikerina. 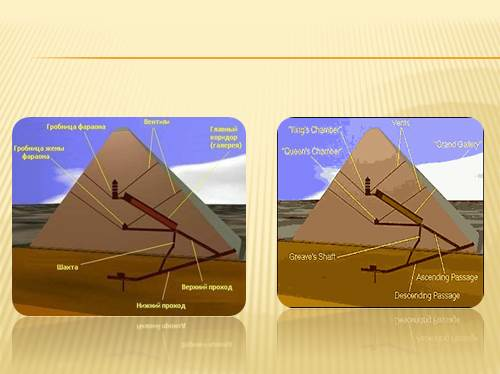 Unlike a pyramid of Dzhosera, these pyramids have not step, but strictly geometrical, pyramidal form. 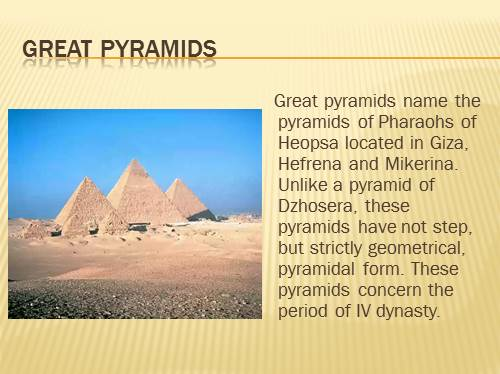 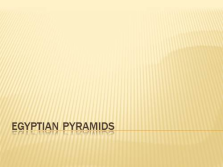 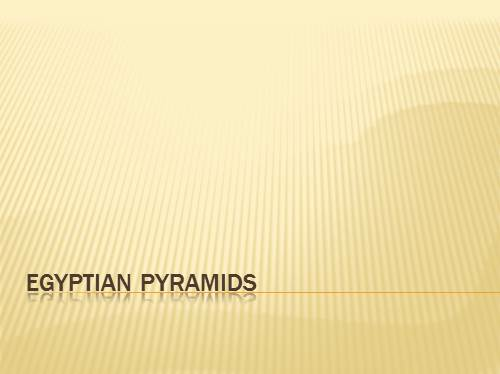 These pyramids concern the period of IV dynasty. 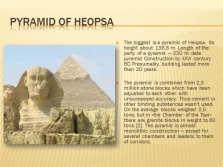 The biggest is a pyramid of Heopsa. 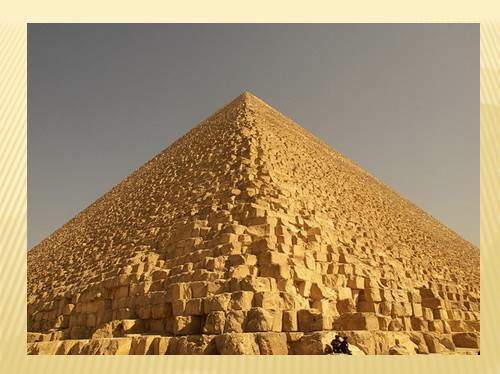 Its height about 138,8 m. Length of the party of a pyramid — 230 m. date pyramid Construction by XXVI century BC Presumably, building lasted more than 20 years. 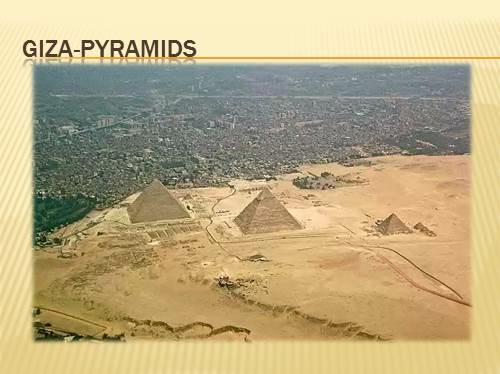 The pyramid is combined from 2,3 million stone blocks which have been adjusted to each other with unsurpassed accuracy. 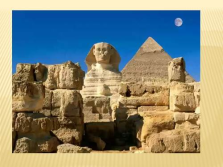 Thus cement or other binding substances wasn’t used. 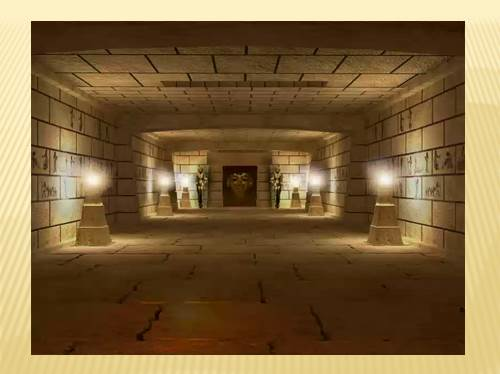 On the average blocks weighed 2,5 tons, but in «the Chamber of the Tsar» there are granite blocks in weight to 80 tons . 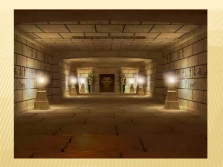 The pyramid is almost monolithic construction — except for several chambers and leaders to them of corridors. 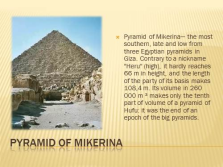 Pyramid of Mikerina— the most southern, late and low from three Egyptian pyramids in Giza. Contrary to a nickname «Heru» (high), it hardly reaches 66 m in height, and the length of the party of its basis makes 108,4 m. Its volume in 260 000 m ? 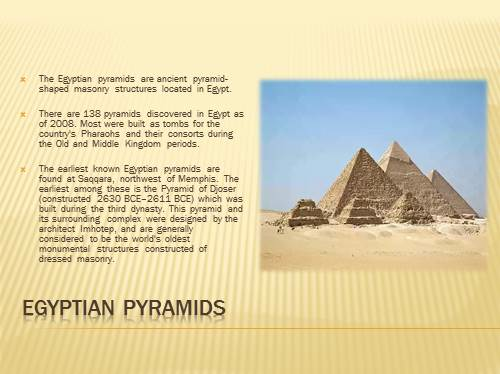 makes only the tenth part of volume of a pyramid of Hufu: it was the end of an epoch of the big pyramids.